It’s the most wonderful time of the year 😉 Read on for a full guide on how to celebrate Starkbierfest 2019 in Munich! People often ask me about my favourite part of living in Munich. And while I could rave about all the beautiful buildings, green spaces and abundance of awesome things to do, I think what I have learned to love most about Munich is that there is always (yes, always) an excellent justification to drink. Whether it’s clinking foamy Maß at Oktoberfest, or warming up via Glühwein during Christmas Market season, Munich is always brewing up some kind of excuse to get buzzed. And with March now in full swing, it’s officially time for one of my favourite of such excuses – Starkbierfest, a glorious few weeks chugging down the strongest of Munich’s beers! Sandwiched between Carnival celebrations and Easter, Starkbierfest is Munich’s Lent-time justification for alcohol consumption. The festival is celebrated over a few weeks during early Spring (this year up until April 7) and has sort of developed a reputation as the city’s secret low-key beer festival. Starkbierfest is honestly one of my favourite times of year in Munich, and if you happen to be in town for it, I think it’s a huge shame to miss it. That’s why I’ve written up this guide to help you understand this amazing festival, where you can celebrate it and more. Enjoy, and feel free to drop any questions you have in the comments below! Where does Starkbierfest take place in Munich? Well, basically, starkbier (in German) means strong beer. Let’s get a little nerdy here! While most people assume the “stark” (strong) in starkbier is linked solely to higher alcohol content, what it actually refers to is a higher concentration of dissolved solids (think starch, proteins, sugars, etc.) In other words, starkbier = more filling, more caloric and, of course (as a result) more likely to get you schwasted for less! Yay! But beyond that, Starkbier does of course have a higher alcohol content (ranging from 7.5%-9%). In terms of flavour, it’s malty and surprisingly (perhaps I should say deceivingly) smooth and its effects will surely 1000% creep on you. Like, “please ma’am, stop dancing on the table – you’re scaring the children” creep on you. You have been warned. Anyways, to sum things up: starkbier is strong beer, it’s stronger in alcohol content but also in dissolved solids, it will fill you up and mess you up. Now, onwards to the “fest” bit. So, since you now know that starkbier is strong beer, you might be able to guess what the Starkbierfest will be all about. … copious amounts of drinking. Yay! 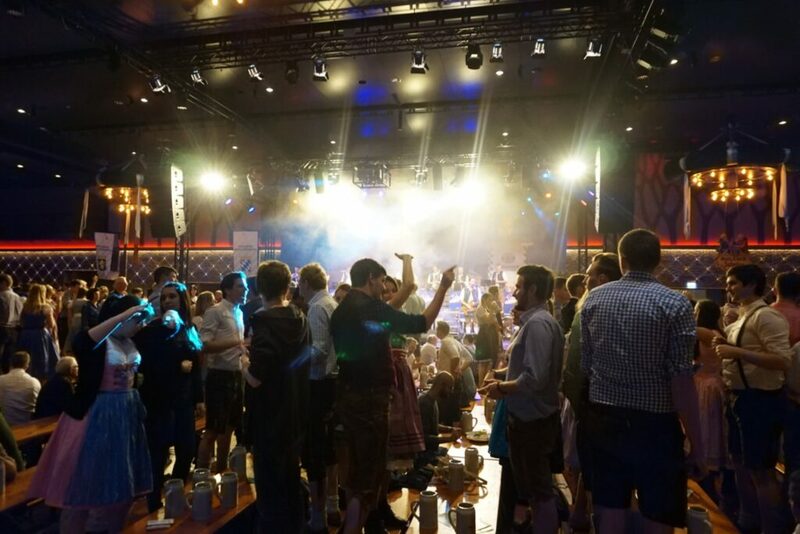 The Starkbierfest (Strong Beer Festival) is a fun few weeks of the Munich social calendar where we consume massive amounts of strong beer and celebrate in different beer halls/breweries around town. In spite of its social and cultural importance, it is still probably one of the least known among Munich’s beer festivals. 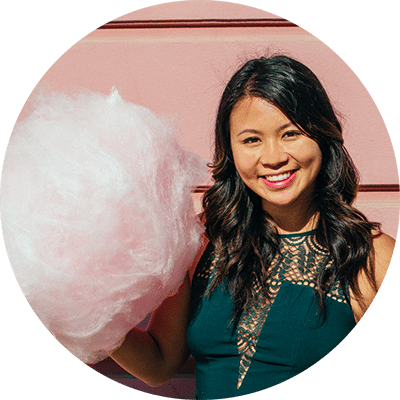 In fact, I write this post with hesitation because many consider it to be a local’s secret. While I’m not convinced that this is true (after all, I’ve somehow made it in), there’s no doubt that this festival is way smaller and packed with fewer tourists than one of the big dawgs (like Oktoberfest). 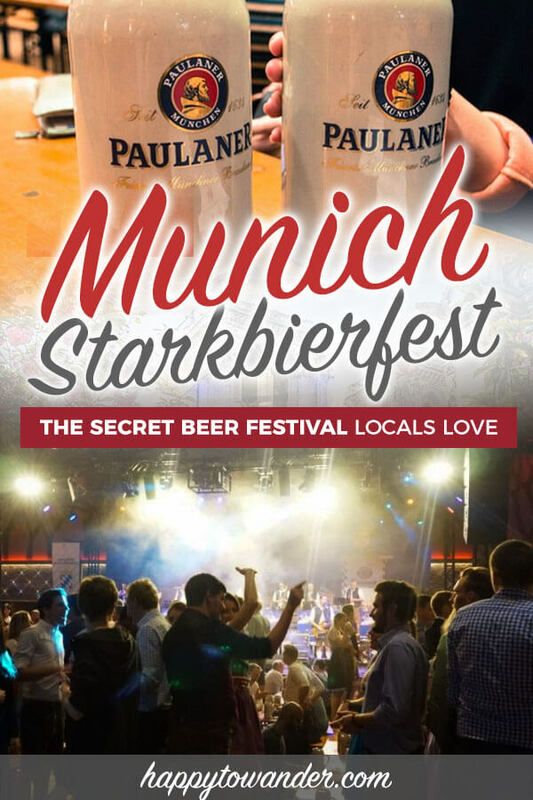 If you happen to be visiting Munich outside of Oktoberfest season, this is a great way to get the classic beer festival experience. A bit of a side note, but I need to tell you about the Starkbieranstich because I find it so hilarious. So, basically the Starkbieranstich refers to the tapping of strong beer (i.e. tapping the keg) – it’s kind of a big deal in Munich and marks the start of Starkbierfest. At Paulaner am Nockherberg, they celebrate the tapping of their Salvator strong beer with a musical political roast. As in, they literally fill their beer hall with local politicians and make fun of them through song and dramatics. If you fancy checking out what the event is like, here’s a YouTube clip from this year. The 2019 dates for Munich’s Starkbierfest are from March 15 to April 7, 2019, which is soon. What I’m saying is, get on it! Book a ticket. Book a flight. Swim if you need to. It’s that much fun. Last but not least, you might be wondering where in Munich you can celebrate this awesome festival. … So this is where it gets a little confusing. In terms of location, Starkbierfest is very different from other beloved Munich festivals like Oktoberfest and Frühlingsfest (which both take place at the same festival grounds – Theresienwiese). Instead, Starkbierfest scatters its celebrations around the city, with special events being hosted by different breweries. Hands down the most famous place to celebrate Starkbierfest in Munich. In fact, they’ve been at it since 1870. It makes sense that eager drinkers would congregate here – after all, Paulaner monks are the ones who created the first Starkbier centuries ago. Expect a rowdy mix of young and old, all ready to jam out to the live band pumping hits like YMCA and Angels. It’s all fun and games at Löwenbräukeller’s Starkbierfest where you’ll get a classic beer festival vibe with plenty of dancing and drinking. Here, you can prove your prowess by trying to lift a giant stone (yes, seriously…) while sipping your weight in Triumphator, their signature strong brew. Ladies, there’s even a contest for Miss Triumphator (where the prize is a dirndl)… because what else would you expect from Bavaria? With a starkbier name like Maximator, you can tell right off the bat that the folks at Augustiner aren’t here to mess around. Munich’s oldest brewery holds their Starkbierfest celebrations in the brick vaults of their storage cellar, where live music and plenty of new drunk best friends await. Alrighty, I hope you enjoyed that Starkbierfest 2019 Guide and that you have a lot of fun at the festival this year. Let me know in the comments if you have any other questions or if you’ve ever been to the Starkbierfest yourself – I’d love to hear your stories! Previous ArticleDüsseldorf Christmas Markets Guide: Where to Go, What to Eat & More! I was always present in Germany at the beginning of the Spring till Fall to have a good time at the beer festivals. Hi! We would like to vist Munich during Starkbierfest and are wondering if we must reserve a table to drink the beer as with Oktoberfest? You can book a table online on the website: https://paulaner-nockherberg.com/strong-beer-festival/ But I’ve never done this 🙂 In my experience, walking in is fine if you’re a small group – you usually find a way to slide in to the end of a table. NOTE: To maximize your chances of getting in, I’d go on a weekday or as early as possible. Have fun! Thanks so much for the info! 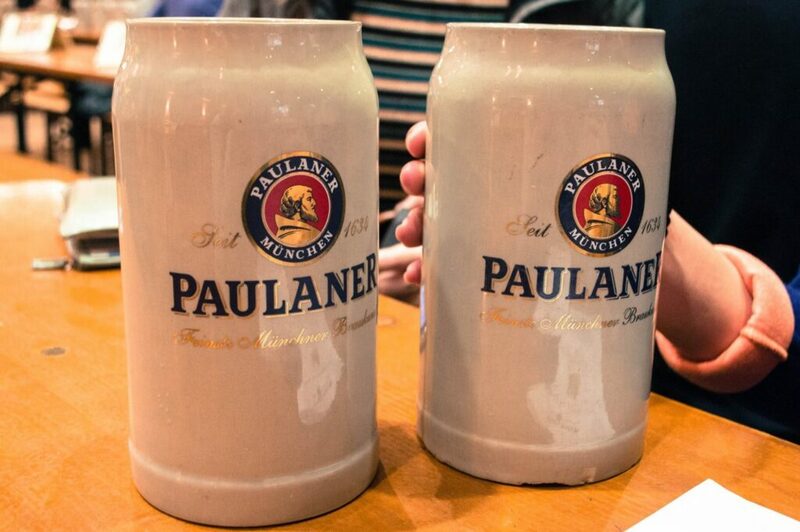 My husband and I will be in Munich next week, and are planning on going to Paulaner on Sunday. Curious if you have any suggestions about timing. I found a tour type thing (which is significantly more than the entrance fee) but guarantees that you can get in and sit with other tourists and a person who knows what they were doing. So basically paying for friends and a seat hahaha. Didn’t know if you had any thoughts on this or if it is easy enough for 2 Americans to get in and figure it out:) Any suggestions would be greatly appreciated as well don’t want to miss it! Hey Jennifer! As two, you should have no problem so long as you’re comfortable asking strangers to sit with them! Sundays don’t tend to be tooooo busy (compared to Fridays and Saturdays anyway) but I would still get there early to maximize your chances of finding a place to sit. I think they open at 11 on the weekend 🙂 Good luck! Hi do you have any recommendation on what i should wear for the festival?